Making heifer rearing decisions without actual weights of the animals makes management very difficult. Heifers can be measured using a scale which is precise but not always practical. A hipometer or weight tape are other options. The Hearth Girth circumference of the heifer positively correlates to the weight of the heifer. 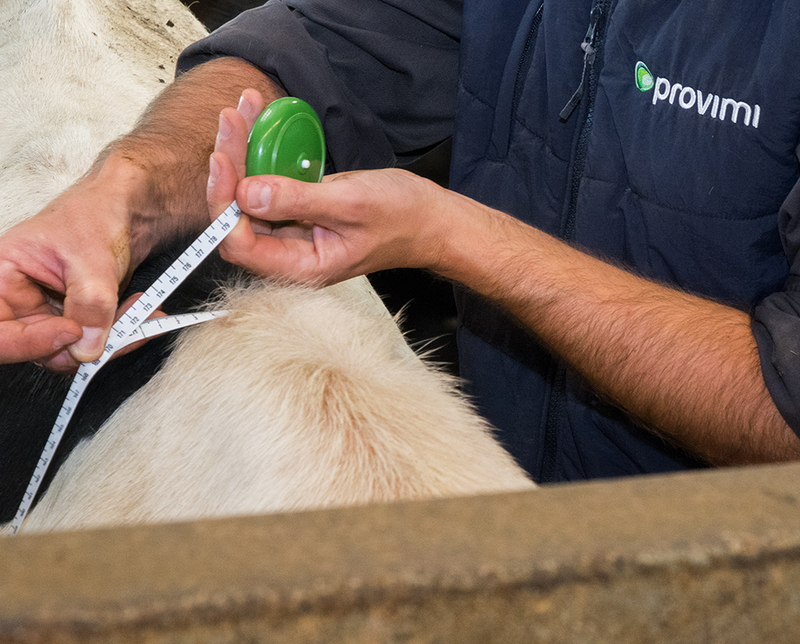 The ‘Nurture with Provimi’ weight tape is based on extensive research in Holstein heifers and gives an accuracy rate of 94% of the true weight. Using the colour range, producers can see directly whether or not the heifers are on target for breeding.